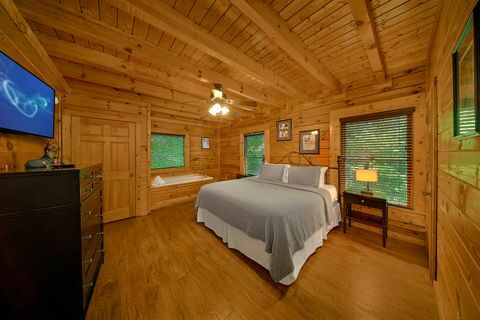 Pigeon Forge Honeymoon Cabin - "Git-R-Done"
Your Pigeon Forge honeymoon cabin, "Get-R-Done," provides a romantic log cabin less than 3 minutes from Downtown Pigeon Forge in beautiful Mountain Park Resort that's perfect for a Smoky Mountain Honeymoon. 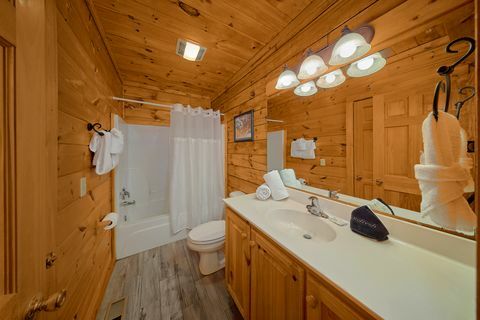 Couples will enjoy the close proximity to seemingly endless adventure of Pigeon Forge and Gatlinburg as well as the comfortable amenities within your cabin. 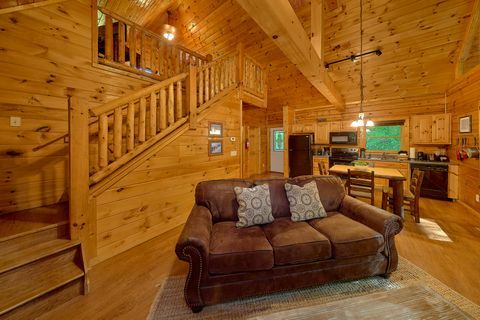 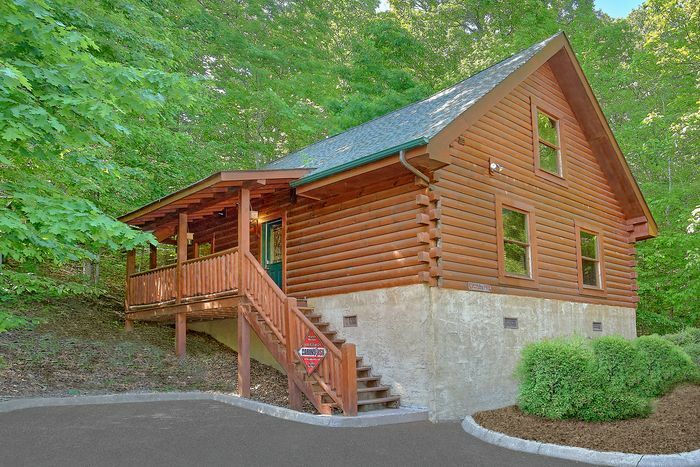 This 1-bedroom Smoky Mountain honeymoon cabin sleeps up to 4 guests and provides features that you and your sweetheart are sure to enjoy during your relaxing vacation stay. 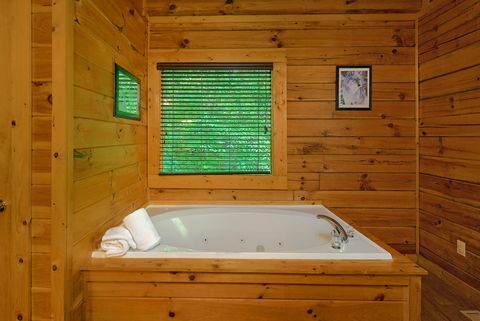 "Get-R-Done" comes with a spacious king suite with an in-room jacuzzi and television. 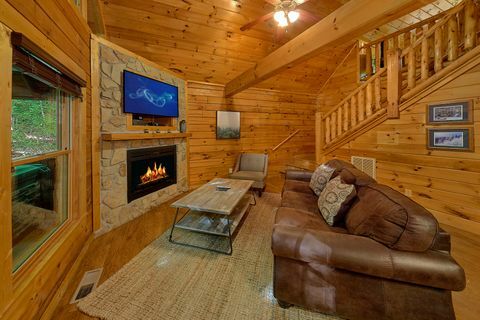 Enjoy summertime access to the resort’s outdoor swimming pool, and, in the winter, cuddle up near the fireplace while watching a movie. 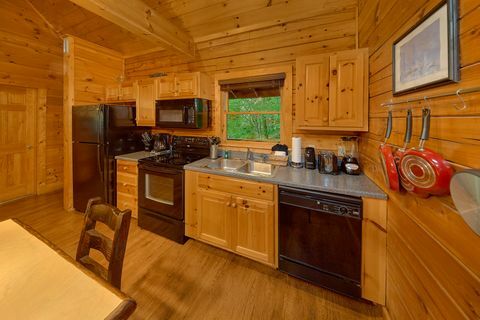 "Git-R-Done’s" fully equipped kitchen and gas barbecue grill are ideal for private romantic meals or small gatherings. 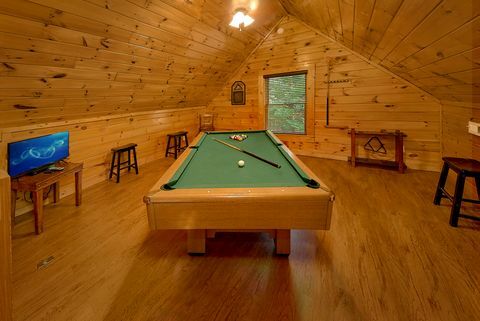 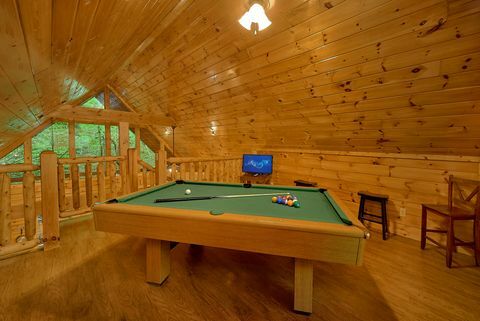 The cabin’s game room, with a pool table and television, offers anytime fun as does the family-sized hot tub on the covered deck that looks out on a beautiful Smoky Mountains forest. 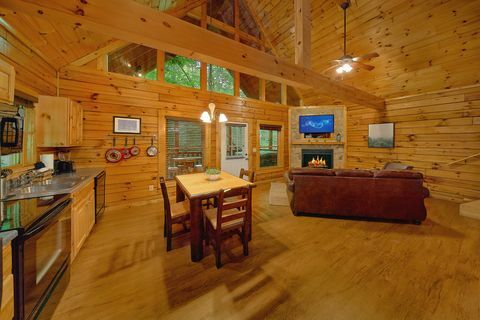 Your Smoky Mountain honeymoon cabin’s location, amenities, and affordability make "Get-R-Done" a great start to the perfect Smoky Mountains vacation. 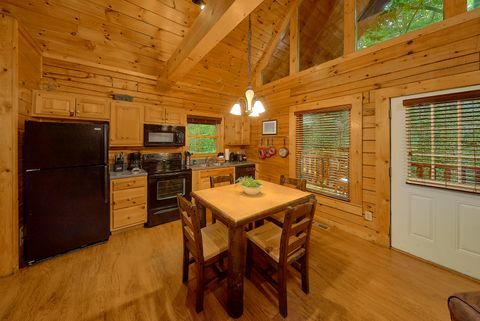 Book your Pigeon Forge honeymoon cabin online and receive an immediate Online Rental Discount!